The vote was 76-22 in favor of Wilson becoming the top civilian overseeing the Air Force. The 22 "no" votes all came from Democrats. Heather Wilson had served on the National Security Council under President George H.W. Bush. 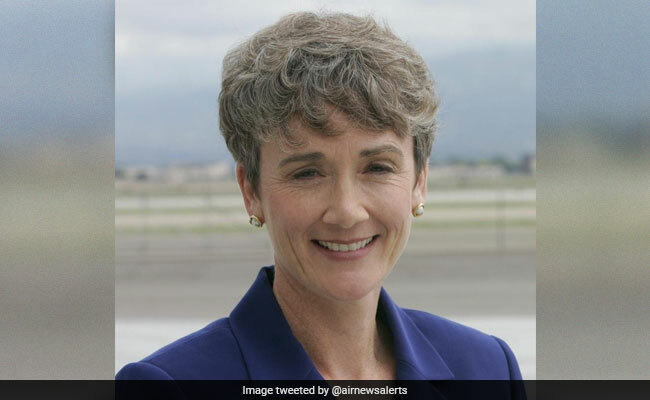 Washington: The U.S. Senate easily confirmed Heather Wilson, a former Republican member of the House of Representatives, on Monday to be President Donald Trump's secretary of the Air Force. At her confirmation hearing in March, Wilson praised the stealth capability of Lockheed Martin Corp's F-35 fighter jet, in remarks suggesting the Pentagon's most expensive weapons system would have an important advocate. A graduate of the U.S. Air Force Academy and former Rhodes scholar, Wilson, 56, has been president of the South Dakota School of Mines & Technology since 2013. She was a House member from New Mexico from 1998 to 2009 and had served on the National Security Council under President George H.W. Bush.